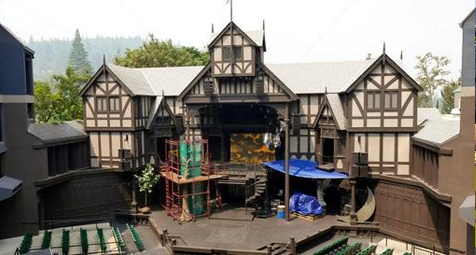 September 26 2018 by Steve Conboy By GILLIAN FLACCUS PORTLAND, Ore. (AP) — The famed Oregon Shakespeare Festival that attracts tourists from around the world said Tuesday that it lost $2 million this summer because wildfire smoke forced it to cancel more than two dozen outdoor performances. The organization will have an indoor venue next season for smoky days as an alternate to its award-winning outdoor theater and will shift its outdoor season back a week to avoid the worst of the wildfire season, said Julie Cortez, the festival's spokeswoman. "The event in Ashland, Oregon, had to cancel 26 outdoor performances starting in July and running through earlier this month, she said. That's more canceled shows than in all five previous seasons combined", Cortez said. "It's impacting everyone in our region. Pretty much every business or organization in this area has sagged a bit this summer," she said. It comes as climate change extends the wildfire season and makes blazes bigger and more destructive, threatening to make air quality worse in urban areas.